The holidays are a magical time for children and making them memorable is one of the more pleasant parental duties. It can also be a time of plummeting bank accounts and pressure to create the perfect holiday experience. 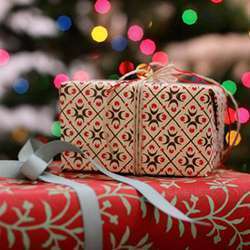 Here are some reasons why not breaking the bank and restricting gift-giving to a few presents filled with significance, rather than sheer want, will be doing your child a favor. When a child receives whatever their heart desires on a regular basis, they can develop something called false self entitlement. This is when a person holds a belief that they deserve or are owed gifts and special treatment, whether earned or not. False self entitlement happens very commonly with young children. The problem becomes when this behavior is encouraged rather than checked, and kids end up bringing that attitude into their adult life. I think we’ve all met people with false self entitlement and life becomes just as hard for them as it is for those around them. So when you’re saying “no” this holiday season, you’re helping liberate your child from facing some harsh realities down the road. The holidays are a season of giving, but it is also a time to reflect on what we have and to be thankful. What better time to start a practice of gratitude with your child? The less you give them in bulk, and the more you bestow few thoughtful, “precious” gifts, the more grateful your child will be for what they have. Asking them to donate a box of their used toys to a charity that supports underprivileged families is another great way to teach your child gratitude. Plus, experiencing gratitude just feels good, and a regular practice has been scientifically proven to improve physical and mental health and boost self esteem. Asking your child to narrow down their long holiday wish list to a few, choice items, is a great way to teach them how to prioritize. Try and help them to filter out all the advertising noise and what their friends are getting, and focus on what they really want. Then receiving those few gifts they really and truly considered, will also fuel their sense of gratitude, and round and round it goes. And let’s not forget, parents, that when you give your child a well-reasoned “no”, you’re teaching them to do the same. It is the nature of a child’s life to be obedient. With their parents or family members, or at school, listening and doing what you’re told is praised. It’s part of the reason why many of us don’t learn the true importance and strength in saying “no” until well into our adult years. But a good “no” for the right reasons is a very powerful tool. It might not look as shiny under the Christmas tree as a PlayStation 4, but it’s way more useful.